Interpret meaning dream dead parents and loved ones. Visitation dreams. Dream Interpretation | Dead Parents and Relatives | Symbolic, or Spiritual Contact? However, in my experience and that of other dream interpreters like the famous psychic Edgar Cayce, spiritual contact via dreams happens. Actual visitation dreams just are not nearly as common as symbolic ones, so I always advise to be careful about drawing hasty conclusions. My father passed away in 2010 and twice since then he has been in my dreams. Once was a dream set at a memorial service for him where everyone seemed happy. He gives a going away speech, and when I try to hug him he doesn’t see me, hear me, or even know I exist. We were very close as father and son and this upset me. In the second dream, I see him at work. I chase after him trying to get his attention, but again it seems like he can’t hear me. This dream is not about spiritual contact with a deceased loved one. It’s about the dreamer dealing with the loss of his father. His father is no longer around to talk to, to hear him, which is why in the dream the dreamer can’t get his father’s attention. It’s symbolic. This grieving son has probably caught himself many times thinking “that’s something I should tell dad about,” then he remembers his father is no longer around and he’s on his own now. However, it might not be completely true that we are on our own after the loss of a close loved one who provided guidance, advice, and comfort. A fascinating case is documented in Edgar Cayce: On Dreams. After her mother dies, a woman has a series of dreams interpreted by Cayce. The initial dreams focus on adjusting to life without mom around, processing the loss and working through the grief. Then they transition to clearing roadblocks in the dreamer’s attitudes and feelings (she didn’t believe spiritual visitation was possible) and learning some important life lessons. The dreams culminate with actual spiritual contact with her deceased mother. From then on, the dreamer and her mother communicate regularly, and the mother provides outstanding advice, including inside knowledge about a relative who’s contemplating suicide, and medical advice that gets the dreamer through a difficult pregnancy. The messages are always positive, though sometimes pointed. No guilt trips or anything like that. The messages frequently convey information about the health and welfare of the dreamer or family members. The deceased mother in the last example gave specific advice about health matters that were verified by physicians and provided insights about family members. The dreams are often more straightforward than symbolic (though some dream symbolism can come into play), the messages communicated clearly and lovingly. The strength of the contact seems to depend on the telepathic abilities of the dreamer and the deceased and the emotional state of the dreamer. A message nearly universal to dreams of spiritual contact is the deceased convey that they are all right, even happy, in the next life, not in distress. It’s the living they’re concerned about! Another key feature of spiritual contact is the person in the dream talks and acts like a real person — like the person you know. You can look them in the eyes and see intelligence and personality. Dream characters usually behave like actors who stick to a script. When you look at them closely or go off-script by asking pointed questions, they tend to distort and act out of character. They don’t respond like you would expect a person to respond. *The exception to this rule is when dream characters represent the unconscious mind or other major parts of the psyche. The communication is mind to mind, aka “telepathic.” Mouths don’t need to move, and words aren’t as important as thoughts and feelings. The loved one who comes to you in a dream has an agenda. Rarely do they drop by just to chit-chat (though it’s possible, especially after previous visits establish a foundation for continuing contact). My understanding is that reaching through from the afterlife to contact people in this reality requires energy and skill that a minority of people (alive or not) possess. And the contact can only be sustained for a short period. And finally and most importantly, the dreams are exceptionally vivid and realistic. They stand out from ordinary dreams. My godson passed away last year. He was 9, he passed after a car accident. While he was on life support in the hospital, I would visit him every day. One day I came home emotionally exhausted and just wanted to sleep and not think about anything. I was putting a couple of things on my bookshelf when something fell and landed on my arm. I picked it up, and it was a birthday card from 4 months earlier from his mom, but he had signed it. He passed away a day or 2 later, and I think he was saying goodbye. [I’ve been really depressed lately, and two days ago] I dreamt about my godson. He ran up to me and wrapped his arms around me; no one else could see him in my dream except me. I kissed him on his forehead and told him I miss him. He told me he misses me too, and told me not to be sad, that he was happy and would keep visiting us. I woke up sad that my dream was over, but happy that he came to see me. I miss [him] every day, and can’t wait to see [him] in my dreams again. Concern is shown for the living. The godson is happy in the afterlife. He has an agenda, a reason for visiting his grandma in her dream. It felt so real. It was different than a normal dream, somehow. It’s hard to explain. It felt more real, it was more vivid. I could hear the birds and insects (we were outside) and the chatter of people in the background. I knew he wasn’t supposed to be there, I knew no one could see him, but I didn’t know it was a dream. I felt everything, smelled everything, heard everything. It was like I was really standing in front of him. Dreams are different, there isn’t background noise, you can’t feel everything. And his voice was inside my head, he was speaking out loud but also speaking inside my head, if that makes any sense. The vividness and sense of realness. I’m comfortable suggesting to this person that the experience is actual spiritual contact with her godson. The last thing I want to do is give her false hope, and if I’m wise I’ll always add the caveat that I can’t say for sure. What’s more important is what it means to her. The dream gave her peace. I take this dream at face value because I’ve read so many similar accounts. The dreams of all three people are identical in content. It’s possible these family members experienced something symbolic and extraordinarily coincidental. I wouldn’t be surprised if three related people all dreamed in the same night about a recently departed family member — they have just experienced a tremendous loss and their dreams are going to reflect it. Subscribe to my newsletter and I’ll teach you how to interpret dreams. Click now. Some branches of dream psychology vehemently insist that dreams about contact with the deceased are wish fulfillment and nothing more, even going so far to say it is primitive and counterproductive to suggest otherwise. Assume for a moment though that what the dreamers report is true and three family members had the exact same dream the day after the funeral of another family member. What do you think it means? Are you getting it? Has the light turned on in your head? My understanding is that family members who are too grief-stricken to handle contact with a recently departed family member won’t get it. The first rule of spiritual contact is ‘do no harm.’ Nothing can be forced. You have to be emotionally and personally ready to make contact. This fact can be vexing for people who wait and wait for contact with a deceased loved one and it doesn’t happen. A son who recently lost his father dreams about balancing the water temperature in a fish tank. When he achieves that balance his father appears next to him and they converse. The dream is incredibly vivid and the son has a strong sense of the presence of his father. His father tells him about life in the next world and says that he wishes to visit other family members (especially the dreamer’s mother) but they are too grief-stricken at the moment. Balancing the water in the fish tank symbolizes balancing the dreamer’s emotions, and the father appearing after that happens is a clear indicator that spiritual contact with the father requires that the son be emotionally ready. I can’t tell you if the next example is actual contact or wishful thinking, but it’s fairly typical for dreams about deceased loved ones. Read “son meets deceased father in a dream” and I’ll pick up with the discussion next. The part that strikes me is the father is alive and well in the dream. It can be a way of saying that the son has processed the fact that his father died long ago before he really knew him and is OK with that fact. But it also can be a way of saying that consciousness survives death and people live on in another state of being. They can be happy. They can love. They can communicate with the living through dreams. Here is another dream where the dead communicate with the living. A grandfather visits a very young grandson — a grandfather who died long before the grandson was born — and gives him some solid advice about life. Again, it’s very possible there is a symbolic explanation for the dream. The grandfather could be an invention of the boy’s unconscious mind to deliver the message, so in this sense the grandfather’s identity as a dream character is a “mask” for a part of the dreamer that provides sagely advice. Grandfathers are known for giving sagely advice, right? It’s a perfect choice of character to play the role in the dream-story. Then again, the dreamer was three years old and had a dream involving adult subjects that few children that age are even aware of, and he recognizes a picture of his grandfather based on what he remembers from the dream. It’s not scientific proof, but one of many examples of similar dreams. Practice at interpreting dreams will help you distinguish symbolic dreams from visitation dreams. This book is your all-in-one reference source. But where’s the proof that deceased loved ones visit in dreams? 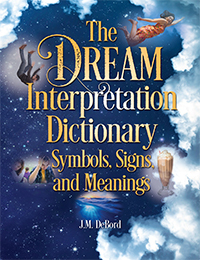 Unlock the meaning of your dreams by learning to decode dream symbolism. I think there are good reasons for why we don’t have hard scientific evidence for spiritual contact or life after death. However, I have run across a number of accounts of the spirit of a deceased loved one visiting in a dream and passing information that’s unknown to the dreamer. The woman who had many dreams interpreted by Edgar Cayce was given remarkable information from her mom. Read about a dream where the spirit of a father warns about a leaky roof. I remember an amazing account of the spirit of a relative warning that a snake was in the shower … and the next morning a snake is actually found in the shower! What are the odds of it being coincidence? Sally Rhine’s book The Gift has many mind-blowing accounts of dreams giving information that couldn’t possibly be known by the dreamers through conventional means. So is Dreams and Premonitions. Proof is in the preponderance of evidence. It’s not proof in the absolute sense, but it’s the best you’re going to get unless you are visited, too. My Dead Grandmother Contacted Me – This appears to be spiritual contact via the dream. I Keep Dreaming of My Stepfather. Started the Night He Died. – This dream uses the deceased person as a character in a story. It’s symbolism. Looking my Grandma in the Eyes – Note what the dreamer says about the eyes. Reddit Discussion About Contact with Deceased Loved Ones – Note the many accounts of visitations in dreams. Dreams about deceased loved ones are interpreted various ways, as you see from what we cover here, but they all share something in common: All are opportunities to heal, to cherish memories, to say goodbye or even to say hello. The images from the dreams are vivid and can be used to create daydreams that promote healing and growth, a process pioneered by Carl Jung called active imagination technique. Whether or not the dreams are actual contact with people in the afterlife, they are only meant for the good of the people who experience them. On a final note, read what Camille Wortman, an expert on grief and loss, has to say about communicating with the deceased. Whether real or imaginary, it’s viewed as beneficial and part of the healing process. The most common way spirits try to communicate with their loved ones is through dreams. If you have a dream that your loved one comes to you and gives you a message, it often feels very real, very clear, and like you really were talking to them. I believe 100% that these are real communications. Dreams are the one time and place where your ego and objective mind are relaxed and you believe anything is possible. Your vibration is high and you’re open for anything. Spirits can more easily reach your subconscious mind than the clutter of your conscious mind. So be on the lookout for “those” dreams. Not all dreams of deceased loved ones are communication, however. Sometimes your own subconscious mind simply conjures their essence into a dream. The difference is how it feels and what happens in the dream. When there is real communication, usually the deceased spirit offers a message of love, reassurance, and connection. Sometimes they tell you what’s coming up in your life, so pay attention. The night my partner died i had this dream, i wrote it down ss if i was speaking to her: you came to me in my dreams. I mean you visited me. First i had a dream it was bizarre and twisting and turning and was abstract but then i felt as if i woke up but i was frozen in place, it felt so clear and vivid like i was awake. Ive never had a dream before so lifelike and that i knew i was where i was physically laying at the time. I could feel my body on the couch at uncle wes and alis living room, i felt your presence behind my right shoulder, you came by me on the right but didnt stop or turn around till you got half way between us and the glass door to the dining room. You were wearing a grey t shirt and black leggings with your hair pulled back. you turned to me when i pleaded for you to come to me, i told you i loved you and you gave me that look like “i dont believe you” but you smiled and i know you did believe me, i heard your voice clear as day say ” ill see you soon” and you turned to walk out the glass door and i called out for you and you came to my side, leaned over and kissed me. It felt a little cold and wet physically, and i thought it was a little odd but looking back if youre not in the flesh that would make sense. In any event i felt so warmed and comforted, i awoke at that moment and i couldnt stop sobbing, i got up and i saw uncle wes in the kitchen and i told him everything. I went to the bathroom and i knew this wasnt ordinary. You actually did come to me. I knew in that moment that I had to finish what you started and get confirmed. What does she mean by see you soon? Its been several days and I keep asking, but all ive had is abstract dreams. I can’t tell you what she means by see you soon, but can say it’s almost always symbolic, not literal. The pattern is for initial dreams that process the loss after the death of a loved one, then the chance for visitation and contact. In those dreams, the deceased is always shown as very much alive and in their prime. Your dream has deep story elements and symbolism that I find in processing dreams. You find your inner balance. Withdraw your need to see your loved one and just let nature take its course. Visitation dreams operate by different rules and your best bet is to affirm your desire for dream visits and let them come to you. Anyway, the first dream was quick but very overwhelming. It’s like I was peering and being drawn into this wormhole..a yellow white wormhole. I got toward the end and haze turned into clear vision and I thought, that’s mum! I knew she was deceased and I panicked in the dream. I was so overwhelmed. I guess the dream disconeccted? Anyway, they feel so strange and i cannot forget them. Ive always been an intense dreamer, i suffered nigjt terrors as a child but as ive aged ive gotten used to them. I know that loved ones can visit in dreams and are very much alive in another place, and that emotional control is essential for maintaining the connection. Take it all in stride. Reach out with your heart. Take care. I looked at her and wondered why she was there because she was dead. I thought if she was dead then my father was dead but I had to work out what year he died. I thought that he didn’t die the previous year because a certain thing happened. When I thought this the dazzling light was just very bright. I thought he didn’t die the year before that because another certain thing happened and the light got a bit darker, After about the fourth time I could sense that the dark room was behind me again. Counting back the years and the light got smaller until I woke up not having reached the year my father passed away. Looking back over this past year my daughter, who not only loved life but also lived it to the fullest, made and did things that seemed to indicate her time was coming. She died after a car accident but not long before it happened she decided to donate her organs and tissues. Everyone seemed to get a really long hug from her the last time she met with them. I was driving to work and had the clearest image of my daughter lying in a hospital bed wired up to so many machines. This was about one week before the accident happened. So much more. I have been wondering if maybe I had met with my family in the dream and they were preparing me for my daughters death. There was always just my daughter and I. She was my soul mate and we had the closest bond. Could my dream have been a forewarning? The dream is mysterious and there’s no way for me to say if it was a visitation, a forewarning, or something more personal and symbolic. Your mom as a character says it’s not YOUR time, but that’s not to say it was your daughter’s time. I find that dreams that operate on the level of spiritual contact are usually more clear, and conversely, dreams that appear to be contact but have elements of obscurity tend to be personal. Think closely about what was going on before the dream. Did you wonder about the ultimate fate of your father and mother and whether they were in the afterlife together? You say your daughter lived to the fullest and she seemed to sense that her time was short. If you picked up on something from her, something subtle but you know how mothers can just “know” things about their children, that might have worked into the dream. I hope that helps you better understand your experience. Hello RadOwl! I had a dream 2 years ago where my once wicked stepmother came to visit me just to say “I’m gone now”. I couldn’t remember if she also said you only have your mom now or if you still have your mom though. She was calm and smiling peacefully, but other than her, the imagery around was completely black. The way I know it was a visitation is because the very next morning I got a call from my father telling me she died a few hours ago, being in the middle of the night. I said “I know” and he asked how because I was the first one he had told. I lived over 8 hours away at the time. The dream actually woke me up because after she mentioned she was gone I responded to her saying “Good, it’s about time”. I JUMPED up and starting rocking saying “no, no, I didn’t mean that. Only a dream, you are still alive.”. She was evil to me for many years, but within 2 years prior to her death, we had reconciled. She had became a loving person. My questions are… What does this mean? Why did she pick me? Is there an afterlife? Thank you for listening! LOVE Frasier btw lol! Hi Ashley, I should check for new comments more often so I can reply more quickly to ones like yours. The dream you had is familiar to me from other dreams I’ve encountered that happen on the night a person passes. I’m glad you had the opportunity to reconcile with her — unfinished business like that can only hold you back, and as you know, forgiveness is healing and a huge relief. I don’t know if her presence in your dream was a visitation. Instead, it could be the way your mind rendered the information you received subconsciously about her passing — everyone and everything in this world are connected and can pass information. The blackness around her just isn’t a feature of visitation dreams that I know of. Instead, think of it as something that expresses your feelings. It shows you had some darkness in you related to her. It’s hard to just be OK after years of abuse, even after forgiving and reconciling. Forgive yourself for your moment of wishing her anything less than love and peace. It’s how you felt at the time. It’s possible that her presence in your dream was a visit and the darkness has nothing to do with her condition or state or even her fate. It’s an interesting juxtaposition. Afterlife…? Yeah, I’m sure of it. :) Absolutely convinced. hi. my mother sadly passed away on 30.12.2017, she was in hospital for good 10 day after fall. I am finding it very hard to get over my loss, I have dreamt about my mum twice since departing, the last dream was very real, she was standing in her normal features wearing her favourite cardigan, all she said was ” I am alright, look after your brother and then she asked me if her papers have arrived yet, I was very close to my mum and am finding it difficult to cope without her presence. I suggest that you read “Edgar Cayce: On Dreams” to learn more about how to maintain contact with your mom. Your dreams show clearly that she’s available to you. In the book I mentioned, a daughter learns how to use her dreams for continuous contact with her mom who is in the next life. You know from reading my post that I think most dreams about our deceased loved ones are entirely personal, not visitations. But I know that some of them are visations, and I know that once a line of communication is established between you and your mom, you can cultivate it. Begin by requesting another visit. But be very sure that you are ready for this and you are in a balanced emotional state. Strong emotional responses can create static in the communication line. It’s OK to be like “Mom! So good to see you and know we can communicate like this. I love you and miss you.” That’s fine, but avoid heavy grief or sorrow. Also, be sure to follow up on whatever she suggests. Are you watching out for your brother? Did her papers arrive? It’s very important to do as asked — communication from the other side is not a game, though it can be enjoyable and should be done lightheartedly. Good luck and take care. I hope I can still consult my mother’s dream. During the time my father was in the hospital my mother did not dream anything about him unlike us their children we had various dreams with him. After 12 or 13 days that my father passed away my mother dream of him. It was like they came from somewhere and waiting for a tricycle (vehicle) to ride. My father was wearing a blue vest which my mother said it was his vest before. In awhile a tricycle came and my mother ride at the backside of the driver. The driver did not wait for my father and just leave without him. He was following the tricycle while my mother tried to stop the driver from driving. She was so angry at the driver and even at the girl seated beside her because she did not tried to stop the driver. When the tricycle stop, my mother hurriedly went down look for my father but she was not able to see him. Then she notice a line of people then she saw my father in line waving at her. Then my father left the line and went to her. She hugged him tightly and slightly tap his back while crying and he did the same. He also fixed my mother’s shirt and hair. After that he turn his back and walk away, then my mother noticed that he’s wearing a khaki pair of clothes. She also had another dream that they are riding one bicycle together, then my mother asked him why not the motorcycles? But my father did not answer. My father was not talking or saying anything on both dreams. My sense of these dreams is they reflect the lives your mom shared with your dad and the fact that he moved on to the next life. Riding a bike together is a heckuva metaphor for sharing your life with someone. When the driver moves on without her, well, do you see the metaphor? He died. He’s no longer with her at that point. My father passed away on July 11, 2018 and I just had a dreamed of him just the other day. It was quite weird for me. In my dream it was same set up during his funeral I saw him in his coffin then suddenly he stood up. I don’t went near right away cause I was shock and little bit scared. The next thing I saw he was fresh from bath wearing his usual clothing in our house and his hair also went to its normal length. I ran to him and hugged him tight while crying, then he spoke to me “Don’t worry, I will come back. Just continue what you are doing.” I was confused but then suddenly I am holding a rosary and I asked him “How?”. He said “It is possible. I just need to passed a mission.” After that, he was starting the engine of our motorcycle and he was wearing all black. Then more motorcycles coming and passing by outside of our yard just like there’s a parade. Everything was dark, but I saw that motorcycles were black and the drivers wore all black. Then my father said to me (but I can not remember exactly the words either of the two), “If you see me / I called you just raise this.” Then I raise the rosary that I am holding. Then I saw a tricycle partly painted with yellow and that’s the time he left and joined other motorcycles. When he joined the crowd I can no longer see him then before I opened my eyes the scene there was two people struggling because the other person was stabbing the other person. I woke up with my heart beats too fast. Before my father died, he stayed in the hospital for 24 days, and the 24th day was the time he passed away. He’s been coma during those days. As you know from reading my article, when dreams like this feature violence or conflict, they’re not visitations. They’re somehow related to the passing of your loved one. What you could see in the dream is your love for him. You know it won’t go away, it won’t change. And if you feel like you’re losing your connection with him, do what he says in the dream. Pray the rosary. More importantly, just pray and open that connection. It’s not so much the rosary that’s important but what it means to you and does for you. I feel for your loss. I hope your dad is able to come back and let you know that he still exists in another place and loves you like always. A friend of mine who is very wise about these sorts of dreams suggests that you give it some time then, when it feels right, request a dream that connects you with him. I do know it can happen for real. My dad passed away on 06/11/2018, unexpectedly. I had a dream about him last night. I was in a classroom. There were some people who went to high school with me. On was close friend but not to close. She was sitting next to me, there was a black coat on the chair. My dad had black coat when he was buried. There was a commotion in between the students because there was a cop searching for drugs in the classroom. We never had any issues with drugs when I was in high school and this was 17 years ago. I don’t know what that was about. But at that moment my dad walked in in his blue shirt he had on when he was buried, and black pants. And I yelled out loud dad, dad, that is my dad and all of the sudden I realized oh no one can see him but me. He came close to me and I hugged him he said “my dearest I loved you the most” words came out of his eyes, he was not speaking but I could hear his voice.. I noticed he was wearing a baby blue hat — the kind you would get for a new born.. its knitted baby blue hat that had pair of shoes also knitted hanging on the side.. I said dad I really like the hat twice but he did not respond. I cried in my dream and yelled you are here, but I knew in the dream he’s not there…… after he said I loved you the most he slowing vanished- disappeared.. and I woke up with heavy chest and I wanted to cry but I was so thankful he came to my dream. I did not cry i just kept thinking of him walking towards me in that crowded classroom…… I think he’s sending me a message but I don’t know what that message is. I’m getting Master degree and he was so proud of me. So your dad passed away very recently. This is a tough dream to interpret but I think it’s better to connect at a feeling level and draw a message from it. You are grieving the loss of him from your life and figuring everything out as you go through the grief and wake up every day in this new reality where your dad is not there anymore. I’m not sure if my mother in law visited me. It was just her face on something small like a dolls head. She wasn’t a nice lady to most of us around her and I was her primary caretaker in the end. I do remember asking if she needed anything since she just popped back in, and she responded her normal hateful way. I woke up feeling awful. She implied I didn’t do enough and she isn’t ready to leave. I told her that its too late, all of her equipment had been picked up and medicines disposed of so she had to go. She responded with my body may be fine, but my brain still works. She’s had always tried to make me, and everyone else, feel small and insignificant. This dream was also add vivid and real as previous vision dreams from other family members. I’m not sure what to make of this dream. The timing is perfect as my other visitation dreams after death of other family members. My understanding is that while some souls of the deceased can remain on this physical plane of existence, they’re better off leaving. They know they can let go and everything will be OK. I can only speculate though. What I do know is that visits from the deceased in dreams are never like what you describe here. What I see is you are processing the memories of her mother in law and the remaining emotions. It’s not “her” in the dream. It’s an image of her drawn from your memory. I suggest, to help put this to rest, that you wish her well and let go. Hi my father passed away last year . I’ve had two dreams of my father . Me and my older brother and sister were going to go somewhere and my father was there . My brother asked him if he’d like to come . He said he will come with us but will bring his wife . I didn’t want her to come and I felt in my brothers mind he didn’t want her to go either . I walked up to my dad to huge him and I saw his face so clearly , his blue eyes were beautiful. He has a huge smile on his face was so happy to huge me and so was I . It felt like a real live huge I would have with my dad in person . Then my second dream . I went into this big back yard with trees giving shade . My dads side of the family was there for a bbq my father was providing . In the distance I saw my father sitting up the bbq pit and my aunt and half sister sitting next to him . At that moment I felt jealousy . Because my father was very comfortable in her presence. And I thought to myself he is my father too , I should be sitting there also . I felt like I needed something , I couldn’t find it and start looking as I was looking I noticed the roof of a carport was broken . I told my father look dad this is broken . He came to fix the roof . When he pulled it down it was made of wood . He asked me how many nails does it need . I answered 6 . He paused and looked serious . I didn’t know if I have given the correct answer . I was confused to what he need me to do and I walked off . I think it’s more likely that you were trying to tell yourself something by using him as a character in this dream. There’s a core idea in these dream that could be about the family’s adjustment to life without him. How have family dynamics changed? Did your sister in law’s status pr perception in the family change in a way you don’t like? That could explain your reaction to her in the dream. The tree in the yard is another pointer toward the idea of “family tree.” Look closely at your reaction to seeing your half sister next to your dad and ask yourself, am I showing myself a feeling of jealousy toward her or what she represents? For example, if she was the favorite daughter, you can see how that plays out in the dream. I had a dream last night that I had a surgery in my right eye, and it was successful. my father who is dead for 15 years was with me to support me during the surgery, What does it mean? Try thinking of right in the dream as meaning “correct” and the eye as meaning “how I see and perceive things.” Surgery on your right eye then means “correcting how I see things so it’s right,” and having your father there means “he taught me how to see what’s right.” Does that make sense? It’s just one way of interpreting what I see in the dream. Two nights ago I had a dream that I met someone that looked exactly like my deceased father(1.5yrs ago), only a younger version of him. When I told him that he looked just like my father he just kept saying Fernando. I touched his face and was just amazed at the resemblance. I have spoke to a few family members and no one seems to know of a Fernando. My father did have a child with another woman and none of my brothers and sisters have ever known him or met him. I am trying to figure out what that means. A woman once joined me for conversation after a dream lecture I gave. She told me about a dream she had that revealed the identity of her father’s secret first wife. So secret, no one knew about it, and it was decades in the past. I know of other examples of dreams revealing what is hidden about the people closest to us. My hunch about your dream leads me to believe that Fernando is your father’s son, but I know in most cases dreams like this turn out to be entirely personal and symbolic. I suggest, if you are comfortable with it, that you picture Fernando in your mind just like in the dream and say strongly, “if you really are my brother and my dream connected me with you, I invite you to come into my life.” Then, if Fernando really is your brother and you are drawn toward each other, the signal will go out to make things happen. It can be almost miraculous how that force works, but it does. Please let me know how things turn out. Okay, last night I dreamt about my brother. He died a little over 9 years ago. He keeps calling me. But every time I try to answer I lose the signal or he or I get out a hello then the line gets cutoff. I have not dreamt of him in years. I tell stories about him to my kids. And while I miss him, there was nothing unresolved between us that would prompt me to suddenly want to talk to him other than to say I missed him. The only other detail is a single number that keeps flashing in a text message. It kind of freaked me out because it was so vivid. Even now I can see some of the images in my mind. I usually do not remember dreams at all much less with such clarity. What are your thoughts? Think of this type of dream as accessing memories of your brother. As time passes, the brain decides to archive memories that are no longer needed in active memory. If your brain was a computer, the active memory is the RAM. The inactive memory is a storage drive. When memories related to a person are shifted into storage, the people associated with those memories can appear in your dreams as characters. Those memories — at least, the fine details of them — become harder to pull to mind. Literally, the brain cuts off the neural networks associated with them. Sometimes dreams can show it as the the person dying all over again! Think along those lines as you consider the idea of being unable to establish communication with your brother. What you see is an internal process. However, the inner world is intimately connected with the outer world and beyond. I suggest that you consciously take over and try something. Sit quietly, bring your brother to mind, and just share what’s on your heart. Tell him you miss him, and as time passes you feel more distant from memories of him, but you hope his spirit can hear you and knows you love him and remember him. Perhaps that’s really the central idea here. Instead of memories becoming more distant, feelings are, and you have a sense of loss because of it. Hi! My brother passed away two years ago because of a car accident. My mom had a dream about my brother. In her dream, my mom together with two of my younger sisters and my brother (who passed away) were trying to walk or pass by a lake, when they were passing thru, they realized it was deep, my brother walked first and then followed by my mom and my sisters. My brother got stuck or drowned, my mom tried to pull his hair so he can get up. My brother told him that whatever happens, he’ll try his best to survive and come back….. :( Thank you for all your help in translating my mom’s dream..
Last night, I had a dream about my mother who passed almost a month ago. This dream felt so real that when I woke up, it took me a moment to realize that I was lying in bed sleeping. I had a brief moment of disappointment because it was a dream, but that feeling was immediately replaced by happiness and peace. In the dream, I was sitting on a couch in a living room that I’ve never been in before and there was a chair in the middle of the room. I looked at the chair and my mom was sitting there. I went to her and we hugged and kissed each other and I told her that I missed her terribly and that I loved her very, very much. She told me the same and when I looked at her, she seemed about twenty years younger and looked very healthy. I told her this and when I looked into her eyes, they weren’t blue like they were when she was alive. They were very dark, but it was like they had a “twinkle” or “sparkle” in them. I told her that she looked beautiful and she smiled and looked away like she was embarrassed. Then I noticed that she was wearing a lot of very beautiful jewelery. There were three or four necklaces and she was wearing gold dangling earrings with jewels in them. I don’t know why but when I saw all of the jewelry, I told her that she was going to go to heaven and that I was so proud of her. She looked at me and said “I did good, didn’t I?” I said “Yes, you did, I’m so happy for you!” I called for my husband who was in another room and he came and hugged her and told her he missed and loved her. She told him the same thing. I turned my attention to him for a minute to tell him that I couldn’t believe she was here and when I looked back at the chair, she was gone and then I woke up. I was very close to my mother and have been waiting for her to come and tell me that she was alright. It felt so real! This is the sort of dream that I take at face value. You got the sign you were looking for. Most dreams draw upon what you already know, especially the subconscious knowledge that can aid you in everyday life. You needed to know that your mom is OK, and somewhere deep inside you, you know that’s the truth. She’s a good person and will reap the reward of living a good life. Keep her in your thoughts, and when you picture her, see her as you did in the dream. You can even continue the dialogue with her. For example, next time you encounter something in your life that you’d share with her or seek out her counsel, go ahead and picture her in your mind and ask for her perspective. Perhaps you have a channel to her living spirit and it’s just waiting to be used for the right reason. In this case, the right reason is a continuation of your relationship with her as mother to daughter. I suggest the book “Edgar Cayce: On Dreams” by Harmon Bro. It details the dreams a woman had about her deceased mom and how Cayce helped her to realize that the dreams on one level show the daughter’s personal adjustment after her mom died, and on another level show the continuation of their relationship through the daughter’s dreams. I dreamt about my late grandfather I have never met. He died of brain stroke when I was 3 months old. In the dream I am taking a stroll in a park with a friend, where I cross paths with him. I instantly recognize him and start calling out for him “Grandpa stop. Please don’t go” he saw me and started to walk briskly. I go after him crying and hold his hands “grandpa don’t go please don’t go” He held my hands softly and politely and said “I need to go child, please understand. I can’t stay, I need to go” And then in the same dream I meet him again and everything repeats, just in a different location this time. When I told my mom about the dream, she was surprised as I have never met him. Also, she has had the same dream a many years ago. I had a dream this morning; I was on a field trip with my daughter but she was acting up so by the time we went into the kids museum the teacher told me they were leaving already. I told her that I would stay because my daughter hadn’t had an opportunity to go in. At that time a women I was not familiar with but somehow knew asked me if I would help her when it was time to pick up her kids; I agreed. I went to a house where a couple of my aunts (they currently live in Texas) were and my cousin Lala and the lady I had just agreed to help were there also. There were others there but I was not conscious of them. Apparently there was this ritual that we were to bring my grandmother (who was cremated) back from her grave and view her again. It was time to go but I was angry cause everyone that was at the house was not concerned about going. The lady that I agreed to help was trying to get me to stay so I could help her and I said no and asked my cousin lala (we are close and she was close to my grandma too) to come with me and she refused. I told them F*** you and her too then I am not going to miss this. I went to the viewing I guess you can call it. My cousin Stephanie was sitting on a chair with her leg up and I saw my grandma on a bed type display. In the area there was a hand full of chairs in with name tags and my other aunts and mom were in the other room but I was not fully conscious of them. I felt the same feeling almost that I felt at my grandmas funeral utter pain and fear and just wanting to see or speak to her again. To my surprise my grandma woke up but she had lost weight and was fragile. she looked at me with love and peace and happy to see me (we were very close) she grasped my hand. My cousin Stephanie was in the background and said to me we just have to accept it Crystal Grandma is still with us. I half way ignored her (weird that she would be so prominent in my dream cause she was not very close to my grandma and I felt at her funeral she wasn’t sincere in her grief) and I said something to my grandma but I can’t exactly remember what it was but something about me wanting to go with her and she gave me this surprised eyes and fell back to sleep or out of consciousness but grasped my hand and as she slipped in to that state her had became tighter around my hand. Then I woke up and it seemed as if I could keep falling to sleep back into that same dream. What a powerful experience this dream is — even just reading about it! This subject in dreams is hard to interpret and discuss, but I’ll offer my ideas to you. Begin by thinking in terms of the dream being about keeping the memory of your grandma alive. She’s part of you, so when your cousin says “accept that Grandma is still with us,” I get the sense it means both in memory and spirit. It can go deeper, too, because her DNA is part you. The love she gave to you, her teachings, her example of how to live — all part of you. Honor that. Embody it. That’s how you keep her alive. The museum setting at the beginning of the dream points symbolically toward “something from the past.” With that in mind, look at the scenario the dream creates. You want to show your daughter around but by the time you’re ready, everyone is leaving. So you react by saying you want to show your daughter around. Does that mean you want to show her what your grandma was (or is) like? (I try to avoid speaking of anyone in past tense — they still exist somewhere, you know?). Do you see how that idea fits the scenario? If museum means “the past” and the dream is about your Grandma, the scene where you want to show your daughter around the museum means what? Last night, I had a dream I had found a baby (I can’t remember where I found it). Anyway, my parents appeared on my porch and took the baby from me and told me that I couldn’t keep it. They looked sad but, shielded the baby from my attempts to take it back. This really upset me because my husband and I are nearly ready to start trying to conceive. Both of my parents are gone. My mom passed just last December and my Dad passed 7 years ago this August. Did your parents have difficulty conceiving or having a child? I ask because, if the answer is yes, the dream might be showing that you fear difficulty conceiving because it runs in the family. Start there. Give me some feedback and I’ll follow up with you. They had difficulty conceiving once after I was born but, they went on to have four more after finally conceiving my sister. My husband and I have already had difficulty. We’ve been married for almost 14 years and have no biological children. We’ve had many obstacles but, we’ve finally overcome many of them and there are just a couple more in our way right now. I’m 44 years old so, time is precious but, we are confident that we will be where we need to be by the end of summer. My fear is that my time has run out and that’s why this dream bothered me so much. Thank you for your time and assistance. Your explanation appears to connect with the dream’s idea that you fear difficulty conceiving. But you know from your parents’ example that once you get the ball rolling, watch out, here they come! I pray that you are able to have children. Thank you for your kind words. I’ve actually come to realize that it may have been intended to prepare me for what was to come. February was our first month trying and I had all kinds of symptoms leading up to my testing date and then they just stopped. I believe I may have miscarried. I recently had another dream (unrelated) about a wall and my family being angry over something I said or did. Turns out, it was a warning because that day my sister, nieces and nephew lost their minds over my opinion regarding the Mexico wall that the President wants to build. Three of them have unfriended me and told me never to contact them again and the other (my nephew) remains to try to goad me into responding to him. Needless to say, I will be paying much closer attention to my dreams in the future. Thank you again for what you do. It has been very helpful for me and I’m sure others. Thank you for your reply. Sorry to hear that politics are getting in the way of family. I find myself slipping into that hole sometimes and have to remind myself that no difference in opinion about something so remote from daily life is worth the division it causes. Your dream about the situation sure appears to have previewed the future. It definitely is a learning experience. You know now that some dreams can show you what’s coming up in the future. The book Dreams and Premonitions has many accounts of such dreams. It’s from the Chicken Soup for the Soul series. Highly recommended. Why cry? Grief, sadness, loneliness, loss, or even happiness to see your loved one again. I’ve encountered a number of dreams like this one that relate to difficult decisions such as turning off life support. I think in your case that the symbolism indicates this is a personal dream, not a visitation. The reference to wars could show a sort of war within yourself about making that decision. And now you are the one who’s stuck because you can’t say for sure that you made the right decision. You need to know from your dad what he thinks, but he’s not here to tell you. In the dream, his statement is a projection of your thoughts and feelings, not his. That’s my guess. Let go and be at peace. I heard from a gifted regression therapist that people left on life support or worse, cryogenically frozen, are the ones who are stuck, bound to the bodies that no longer work and unable to move on. Hi there, I really want to share my dream this time. I was sitting in a dinning table in the kitchen, it was either dawn or sunset so little natural light was in there, the sourrouing was all wood materials: wall, table, chair, floor, roof. From where I was sitting I could see the corridor towars a living room. I was sipping something lost in my thoughs. My dead father walked into the kitchen from that corridor and he starts to do the dishes quietly, it felt like we were having a conversation minutes ago that kept me in that thoughful status and kept him in the quiet status. While I was sipping whatever it was sipping and he’s doing the dishes I was looking at his calves with some sorrow: their were extremely thin, it was like only bones and flesh were there just below his healthy-looking knees and thigh, and calmly I asked him: What is it that hurts you? he turn to look at me while he kept doing the dishes then he pinched the skin of this looking-normal thighs and it stretches abnormally. It is almonst ten years my father passed away, and in all this time I have dreamt of him several times, almost always he is present as he was: quiet and silent. Is there something you can share, please do. In this dream, your father is presented as a symbol of something. It’s not spiritual contact, to my knowledge. Instead, look at the symbolism. The father-character’s calves are abnormally small. Legs are supports. Your father supported you at least somewhat, perhaps a lot. It suggests that something that supports you is weak or thin in the figurative sense. What’s your living situation like? The dream refers to a living room, which can mean “living situation.” Plus, you are contemplating something, pondering, thinking deeply. What do you usually think about while sipping a beverage in the kitchen? The action of washing dishes also connects symbolically with home and the things you do to maintain it. Now, consider the action of pulling on the skin. Does that say to you “stretched thin?” All of the details point symbolically to the idea of being stretched thin, and my guess is it could relate to finances. What do you think? i had already told about the dream visitation of my mom after a weak of death. as i told, i couldnt remember many of the things in the dream. to add some info, in that visitation she regretted for her death and consoled me as i cried loudly. the rest i cant remember but at the end she was normal and so me, i was asking her whether the death was painful, she said no (she had a calm death at sleep). my another issue is that i wasnt happy after waking from my bed, had a sorrow only. i wonder why i cant remember the dream fully as it was seemed to be forwarded to the end like a movie. will there be anything secret that human should not know? actually i was 9 months pregnant by that time. my had told me a few years before that i wish to reborn as your child. will there be any hidden mystery behind it? sorry i dint know wheter i am asking the right question. as u have told i am trying to connect to her by uttering words before sleep but no improvement for 2 months. Dreams like this one are mysterious. It’s easy to confuse what you see for reality, to think that your mom is reaching out to you in the dream but really the dream is about you personally preparing for the role of mother. You were nine months pregnant … that fact could come into play. Perhaps you felt weak at the time, physically or personally. The detail about wondering if her death was painful could tie in with wondering if giving birth would be painful. Death in dreams can refer to big changes. When you become a mother, the “old you” passes away. Even if it’s like your fifth child it still means big changes. At the very least, the dream shows that you have unresolved emotions regarding your mom’s death and it’s good to explore them. Hi, I had a dream a few years ago that still haunts me to this day, as I do not know if it was some kind of message, sign, or just some random dream. I dream very often, I have narcolepsy and I’ve experienced hallucinations, sleep paralysis, lucid dreaming, and even exploding head syndrome a few times. But I’ve never experienced a dream like this. I dreamt about a cousin of mine who committed suicide years before. We were close when we were younger, but had lost touch as we’d gotten older. In my dream, he came to me as he was when we were young teens. What stands out to me is that he never spoke, I would speak to him, but he would just look at me. It was like he was communicating with his eyes to me instead of his voice. He had the saddest look on his face. Just so sad. I remember seeing the sadness in his eyes. When I woke up, I felt extremely emotional, I felt an emptiness I’d never felt before in my life, and I cried. My alarm clock started going off, and the Adele song, Hello, was playing…with the part that says, “Hello from the other side”…Every time I started telling anyone about the dream, those emotions would come back, I couldn’t talk about the dream without crying. And later that day, I learned it was my uncle’s birthday (his father). Was this him coming to me, sharing his emotions, trying to tell me why he killed himself? Or maybe it was for my uncle? I keep thinking of the words in Adele’s song that was playing right after I woke up from the dream, where it says “I’m sorry, for everything that I’ve done”…almost like a message to give to his father. Is all of this just strange coincidence, or did he visit me? It’s been bothering me for the last 2 years. I’d never dreamt of him before this, or since this particular dream. Any answers you can offer me would be greatly appreciated. Thanks! Visits from the deceased are marked by happiness and a sense of peace, so I think your cousin in the dream is imaginary. It’s a character in a story, not the spiritual presence of your cousin. Perhaps the dream tapped into your own sadness about his death. This sort of dream is known to come along to allow you to release emotions which are unexpressed or pent up. Another possibility is your cousin symbolizes something that makes you sad and it was pertinent to the time of life when you had the dream. Dreams are known for creating scenarios that trigger emotions. In which case, the scenario is important for how it registers with you. You subconsciously know what everything in your dreams symbolizes, and a way of tracing the meaning is to follow your feelings. Mark = sadness. Perhaps you had some other sort of loss happening in your life at the time. I was raised by 3 women. My great grandma, my grandma and my mom. All of them passed away, the last was my mom 11 years ago. I was an only child. I rarely see them in my dreams and this is the first time i dreamed of them all together. In my dream, I went home to the old house I grew up with, and I was surprised to see them 3. I wasn’t surprised to see them 3. I was surprised they were fixing the table with some food, my mama was cooking in the kitchen. I asked my grannies at the table who was the guest? They said oh hurry up and fix yourself, isn’t Ken, (my current bf who is overseas) coming over? I was speechless. And my mama came out from the kitchen with her fave dish. She asked me do you think your bf will like this? My grandma said oh i saw his picture he is such a hunk Im so excited! I looked around the house, the curtains, the sheets they use when there’s a special guest was there. I woke up he was knocking at the door but that was it i woke up. It felt so real. I have had a failed relationship in the past and i suffered depression very bad. During those times, I called them in my prayers i never saw any of them send a sign. Right now, my bf and have been going steady for almost a year but i struggle with insecurity maybe scared to be hurt again. Could they be telling me they are happy for me and that I made the right choice or not to worry? I think it’s more likely that you are telling yourself that those three great women from your past would approve of your boyfriend. A key detail is the dish your mama cooks up. It implies that something is “cooking up” inside you. Watch your feelings closely because you could soon see a shift in how you feel about your boyfriend. Perhaps you can let go of the past and just enjoy the present with him. I lost my mom and dad in a space of 7 months over 2016/2017. As the youngest son, I was hit the hardest … just cried and cried for about 4/5 months for mom but not so for dad, as I still could not forgive him for years of abuses against mom earlier in life. Last night both came to my dream – I was trying to board a coach with my wife but for some reasons were stuck in a small room with some other family members. The room was dim-lighted, damped, and had a strong unbearable urine odor. My dad seemed so angry and was ordering me to get ready to leave and board a different coach waiting outside. My mom was calm and did not seem upset with my dad’s behavior! I said: but dad I’m married and need to take wife with me. He simply re-asserted himself and said no. I seemed powerless to not obey him, a reminiscent of my childhood. As I was getting ready to leave – I woke up. Not sure how to interpret this! First time, dad came to my dream. I dreamed of my mom the morning after she passed away showing me around her new place and reassuring me how better life she has. Your dad in the dream is a symbol, not a visitation from his spirit, I’d bet. People on the other side do not visit you just to get angry. Instead, think of it as an expression of your own anger. I was recently asked by someone whose mom died, “why do other people have these great dreams about a parent who passed away and they get to visit and exchange feelings of love, and when my mom is in my dreams she’s always pissed off?” I said, well, because you’re still pissed off about her death (her mom died of Alzheimer’s and it was a really hard thing to watch because her mom had been vibrant and healthy and everyone thought she’d live to 110). So my guess is, you’re still angry about something with your dad, but you’re in a time of life when you really can’t stop to deal with it. You’re moving on — boarding the coach with your wife. It’s like you’re presented with how you perceive the idea of going back to deal with the past when really what you want to do is embark on your journey into the future with your wife. However, the dream is saying you have inner work to do. Hello there, my father died when I was six years old in the line of duty. He had an affair with my mother and he had a wife and a family. I grew up in a foster home because my mom didn’t want me. There was a huge hole inside of me, missing my dad all my life. I never went to the funeral or to the cemetery. I left my country about 30 year ago and never went back. Fast forward, my nephew just found where he is buried and invited me to travel to that country for Christmas. The country is very dangerous and I do fear for my life because I have a family of my own now. SO, last night I had a dream with my father, the first one ever with him. And I was halfway sleep and I realized that, so I asked my father if was safe for me to travel to my country. In the dream I was in a hallway of my current house, at the end there was his tombstone and he was like floating on top. He never spoke to me but when I asked the question, the lights went darker in the hallway. SO I asked the question again, is it safe to travel to that country? And the lights got darked/dimmed again. So I said to him “OK, thanks for the message I get it”. End of dream. The dream was very real and I only have one memory of my dad because I was six when he passed. Now I feel blessed about the dream because I saw him and I feel like I now two memories of him. But I also feel like it was a direct message for NOT TO TRAVEL to that country. Sorry for the long story and I hope you take the time to evaluate. Mike, at risk of misinterpreting this dream, I think the message is clear. i had a dream with my mom meeting me and regretting for her death. but i couldnt remember the rest of the conversations. finally she was speaking with me casually. then i dont remeber how it end. i worry why i cant remember the conversation with her. If the spirit of your mom came to you in a dream, it can return. Ask for clarification. Before going to sleep, recall the last dream with your mom and say to yourself three times something like “I welcome my Mom’s presence in my dreams and wish to know more. I’m paying attention. Please send me a dream to clarify her message.” Once that channel is open it is more readily available to you. Plus, you don’t have to wait till you’re dreaming. The channel REMAINS OPEN for at least some time. To tune in, clear your mind and focus. Try it in a quiet space, preferably darkened, with a candle lit. Focus on the candle. See what happens. As you know from reading my article about deceased loved ones in dreams, most of these dreams are symbolic. They’re like any other dream that uses symbolism. Because of the statement about regretting her death, my hunch is this dream is symbolic. It’s you hashing out something internally related to the passing of your mom or her absence from your life. Ask yourself, “do I have regrets about her death?” It’s common to think you could have done more to help your loved one. This is about my grand ma (Nani) who died 7 months ago March 2017. I love her the most in the world. her loss is the only thing i cant able to recover. Before her death in Jan i need to go out of town for internship but she cried and stopped me coz she was having cancer and its the last stage. after that she approve me to go and talk to me on daily basis. but one day i got to know she was no more. i cried alot regred why i left her, asked her to come in my dreams talk to me in any way but she didnt. but after 13 days in hindu mythology we do a ceremony to purify the dead soul. she started coming in my dreams. I dreamt alot about that she taking to asking me that i had came, telling me till you are alive i am always there, she hugs me and loves me back, whenever i feel said she comes in my dreams and tells me im always there. on other part sometimes i dream that she is in pain of cancer and some how in my concious mnd that she is not well i need to spend time with her and love her hold her. I am not getting a clear picture what she wants to convey to me. but one thing when i hug her in dreams it feels soo real like i am actually doing it. she is somewhere too close. Please reply me back as it is very important for me to know. First, I think the dreams featuring deep connection with your Nani are “real” in the sense of they are visitations from her spirit. At least, take the messages to heart. She’s always there for you. She loves you. Everything’s OK. The dreams about the pain from cancer … that’s not her. She’s no longer in pain. In those dreams, I think you could be making yourself feel guilty for leaving to do your internship. You need to forgive yourself for this. How? Spend time with your Nani in your thoughts and feelings. Remember her well. Continue to share your life with her as if she’s still here to talk to. What you say in your heart to people on the other side is always heard. my father passed away on april 2010. I dreamt of him early this morning. I went into the hospital and saw my relatives and family crying.And then I saw my father in lying in bed, someone told me that he’s going to die. I looked at my father,hug him tight and crying so hard telling him not to die. And suddenly I woke up. Do you have any suggestions what does that mean? You can view the dream as an expression of your grief. You know he’s gone — has been for seven years — and you want him back. It’s really straightforward when viewed that way. As time passes after such a big loss, you can find yourself feeling farther away from the memory of the loved one, and it can feel like betrayal of the person. You don’t want to forget them. That’s why it’s good to have a memorial on anniversaries and to remember them fondly. Speak with them in your heart. We, the living, are the ones who need the most help. Your father is in a place where he’s surrounded by love and light and all his needs are met. You, on the other hand, are still making your way through the journey of life. Your dream can be viewed another way. Your father represents something else that you don’t want to lose. It could be a feeling of connection or guidance. Look for those things within you. Picture the dream in a way that satisfies you. For example, as you hug him, see a cord of light connect you. See him transfer to you everything you need to make it on your own here on earth, but also know that you are still connected by your hearts no matter where you are. Working with dream imagery like that can set in motion subconscious energy that will do the healing or whatever else needs to be done and you don’t even have to be consciously aware of it. Hi.I saw my deceased father in my dreams.In my dream,I came back from somewhere and my father was watching TV at somebody else’s home and I am there.Nobody was there in that home.In my dreams,It was his friend’s home.I asked him that where is mummy?He said that mummy got bored so she went to your sister’s place and then I laughed and said “got bored” and he also laughed and said “YES she got bored”.Then I asked him what are you going to eat?He said he will eat something so I asked him to eat healthy food.He said “OK”.Then I left to talk to his friend’s son ans in my dreams he was at his place.I asked his friend’s son that please take care of my dad as he is at your place and nobody is there and my dad is not well.He said “OK” that he will go home and take care of him.I could not take care of him because I had to go to my sister’s place as well.Then when I was coming back after talking to his friend’s son,I saw my father ,he was coming with food in one hand and in another hand,two small pouches of somewhat like “sodawater”.I asked him “What is that?” He did not said anything and gave those two pouches to me and went off .At that time,he did not said anything. My father had Parkinsons and was not able to talk at all in the end but in that dream,he was talking fine and I used to take care of what he used to eat as well. The dream looks to be perusing through your memories. When you get visited by deceased loved ones there’s an agenda and the encounters are usually direct — you can have some symbolism, but generally the person just appears in a normal setting and you connect through your love of each other. The dream puts your father in someone else’s home as a way of making symbolism, perhaps to say that you don’t feel as close with your memories of him. I cared for my mother in law when she had alzheimers. What an ugly disease. You did a good thing by taking care of your dad when he needed you most. My father died about 10 years ago. The other night I had a dream that was not like a normal dream at all – I visited with my father and it was very real to the point that it was 5 or 10 minutes after I awoke from the dream before I realized that it had been a dream. He behaved exactly like he would have in real life. My father was living by himself out in some strange and remote place. He had been trying to fix an old pickup truck but had gotten stuck trying get the carburetors back onto the engine. I helped him get the carburetor connected (he was getting old and having trouble getting his fingers into the small spaces – so I helped him out, just like I did when he was alive). Then he hooked the truck up to an old trailer and we went off to get some things he needed – a fender was rubbing on the tire and my dad kept driving while he reached out and bent the fender (and this made me nervous that he wasn’t watching the road – I wished he’d be safe and pull over to fix the problem). Then when we got back to his place, he showed me a project he was working on, an ancient musical device, and some new pieces he had picked up (I guess that’s where we went with the trailer – to get those parts) so it could all be put back together. He handed me all the pieces and explained how they all fit together and said he had someplace to go – but if I had any questions or needed him I could call him anytime. Then he left and I fooled around with the device and scratched my head a bit over how it all fit together – and started missing him terribly – went outside and watched a sunset and thought I should call him. Then I woke up and it was still so real to me that I was going to find my phone and call him – until I remembered that he died years ago and I can’t call him on the phone. I usually can’t remember much of my dreams – but this one is really vivid still after a few days. It really felt like my father really did contact me in my dream. Your account reminds me of what I’ve heard about how people on Earth and people on the other side can collaborate. I know of many accounts of inventions, discoveries, artistic creations and engineering feats that resulted from this sort of collaboration. My understanding of how things work on the other side is you stay busy! You have a place where your interests, skills and abilities can be further explored and utilized. You aren’t just sittin’ on a cloud for eternity — although, hey, if that’s what you want, it’s your choice. However, you can imagine how boring that could get. To me, it makes sense that our earthly lives continue and enhance when we’re in our next life. In what way am I not sure about my course in life or in an area of my life? Think of control of the vehicle as a metaphor for control of yourself, your life, or some area of it. It’s common to feel like “dad did it better than me.” To feel like you can’t quite live up to the role or be as skilled as the old man. But I think your dad would say otherwise about you. Perhaps you need an affirmation. In the dream, you take over and do things that he can’t. That could be the affirmation — assuming you need one. I can only guess based on the imagery of the dream. I have a hunch that your dream is going to continue — it reflects something developing, ongoing. Dreams tend to have layers of meaning and significance. To help things along, I suggest that you reflect on what you remember about your dad when he was your age and how your life parallels his. Also, say a prayer for him. Heck, talk to him in your heart. Tell him what’s up in your life. I am certain that love between us continues through life and death and the next life, and what we say in our hearts is always heard. Hi Lynn, I think it’s most important to interpret a dream positively, even when it seems unresolved. Your dream is familiar to me from my experience with similar ones. The way your mom acts as a character in the story — her ignoring you — could express your feelings about waiting for her to get in touch with you from wherever she is now. It’s important to remember that she’s born into a new life and is probably going through “re-orientation.” Also, that the ability to communicate telepathically has to be developed, whether while here on Earth or otherwise. She can’t just suddenly to do it because she’s in the next life. The dream appears to express some frustration and bewilderment because of the lack of contact. Have you considered developing your own ability to communicate telepathically? It’s easier than it sounds. Mostly, it comes down to focus and belief. My father has passed many years ago. He came to me in a dream last night. My landlord and his family were doing work outside of my place. They just walked right into my place without knocking.The man walked upstairs and the family sat with me in the livingroom. I had a blanket over my bottom as I had no pants on. I told them this so they would leave. Next thing I know, we were in a tavern. The landlord is the bartender. I tell him how wrong it is to come into my home without knocking first. When I tell him I had no pants on. He made a face. I turned for help and there was my dad. I was about to ask for help. Then I woke up crying. Is your father someone who would tell you to protect yourself personally? I ask because if you step back and simplify the dream, it’s about being “caught with your pants down,” which means “exposed” or “vulnerable.” It might connect with a situation with your landlord — is your privacy compromised? — but your landlord and his family could symbolize your family. Dreams like to create a layer or two of distance so they’re not too obvious. The tavern…first question to ask about this setting is, do you drink? If yes, do you something drink too much and it makes you vulnerable? It’s just a possibility I see for the symbolism. Consider the possibility that your father in the dream represents something he taught you, and the dreams-story is about trying to remind yourself of it. If your dad could see you now in your life (and I’m pretty sure he does), what would he say? My mother passed away a month ago suddenly. This was almost 2 years to the day of my dad’s passing. I had a very vivid dream last night that I can’t get off my mind. I was looking in a mirror at a spot on my nose and squeezed it to have an excessive amount of liquid come out. I thought at first this was a good thing…my nose would be smaller, but then it falls off and looks hideous. I pick it up to go to the hospital. It is important to mention that I am in the house I grew up in from my hometown. I left there 8 years ago when I got remarried. My parents lived next door because I had bought the house from them with my ex husband. So I have my nose in hand and I call my mom on the phone and I know she is dead. I don’t remember her saying anything but her and my dad show up at my front door. They look healthy and younger, smiling ear to ear. I wonder why they are smiling because I am quite distressed about my nose. I know they are dead and we don’t discuss that. I feel at ease about everything. I don’t remember us talking but I felt that they told me not to be concerned about things like my nose. It really didn’t matter in the grand scheme. All that mattered was the next life. The little things just are insignificant. They didn’t say it was going to be ok or try to comfort me about my nose, they simply said that this too would pass and we just have to get on to the next phase in our life. Well, a nose is important of course but I think when used in this dream-story that the meaning stands out, and you know what it is: don’t worry about the little things. My thought as I read the description centered on the phrase “cut off your nose despite your face.” It means “overreact and cause yourself embarrassment.” I think the basic message is right on: focus on what’s most important here and now. The next life … well, you’ll be there soon enough so it’s not something to dwell on, in my opinion. But the next phase of life, yes, that’s what this dream really seems to speak to. Something new is waiting for you, but some sort of fear has been holding you back, is my guess. The spontaneous song lyrics really sum up what’s happening below the surface. You are realizing you have no reason to fear and that fear only holds you back. You are a child of God and can live your life with freedom and courage. I dreamed of my deceased father wearing black pants, gray shirt and black jacket. He drove a black hearse. He parked the car at the back entrance of the school where I work. He walked toward me and I was sitting on a bench. While he was walking I asked:But aren’t you dead? He answered with a happy smile:’No, I now I take care of the dead. He sat down next to me and hugged me firmly. He looked younger and radiant. It felt like no dream at all. Like sharp and real images. He said: ‘I have to go, I have more work to do’. And he stood up and walked away. He got into the hearse, but there was a body inside under a sheet. I woke up feeling happy after having “seen” him. But now I’m overthinking what does this dream mean? In my article I say that the intense realism of visitation dreams can be a sign that they’re “real” contact with the spirit of the deceased loved one, not personal symbolism. But dreams in general can be intensely real and vivid so it’s not a sure sign. In this case, look closely at the details. They really seem to point toward symbolism. “Taking care of the dead” can symbolize taking care of yourself so you don’t end up dead before your time! It can mean doing the things to commemorate your father such as remembering him and doing rituals such as setting out photos of him on his birthday, just as an example. In my home, May 5 is the day my mother in law died and it will forever after be “her” day — a day for us to remember her. In a sense, when we remember her we are taking care of the dead. See what I mean? Your dream appears to be personal, a way of visualizing something happening inside you or in your life. However, I do want to add though, just because it’s not “really” your dad in the dream (not saying it is or isn’t him; who can say for sure?) is no reason to feel disappointed. You said you felt happy to “see” him and he looked to be in good health. At the very least, you can take that as a sign that you are doing all right. And when he says he isn’t dead, what that can mean is he’s still alive within you. See what i mean? My biological father passed away last month and i never got the chance to meet him because he spent 27 years not knowing about me and then when he did find out about me he was killed in a tragic accident just a few short months later. I keep having dreams about him though. A couple of them i was actually meeting him and spending time with him and then some others i was just looking at a wall with pictures of him. Last night i dreamt i went to his moms house (whom i have never met) with my mom and she was super happy to see my mom and she was showing us all kinds of pictures of him. To me, this dream imagery appears to be visualization of internal processes as you sort your memories (a normal function of dreaming) of your father, but you don’t have memories of him, you have memories of thinking about him and picking up little pieces of info about him. You appear to be trying to figure out how the pieces fit. The dream with your mom meeting his mom must be symbolism — it doesn’t reflect an actual event in your life. But perhaps it reflects what’s been going on in your head as you wonder what he was like, what influenced him the most (his mom), and how it all connects back to you and your history (your mom). The happiness of that scene is a good sign that you are coming to terms with this situation where you gain your dad and lose him all in a short time. I suggest, if there’s something you really want to know about him, keep your heart open to allow the answer to come to you. My great-grandfather is a mysterious figure in our family tree and one thing we know for sure about him is he abandoned his wife and kids when my grandfather was a child. That decision perplexed me, and since I never knew my great grandfather I could never ask him why he did it or even get enough second-hand info to guess why. One night I was “in the zone” — deeply at ease and just open to everything — and a voice came into my head. It identified itself as a friend of my great grandfather’s. My wife was next to me and heard it too (all in our minds). It said that my great-grandfather regretted his decision to abandon his family. With that bit of info I was able to put a big question to rest. I’m not saying that you will experience something like what I did, but if you want to know more about your dad you might be able to find it out if you open your heart and receiving the answers to your questions. My mom passed February 8th and yesterday I had a dream of her that was so real. I was at a family reunion after her passing. We were all laughing and having a good time. Just like she would have wanted. I was getting a picture with all my aunts and she was lounging in a chair. I asked my brother if he could see her. He said yes and walked away.Then I started taking pictures of everyone, but when I tried to get one of her the camera wouldn’t work. I asked her what she was doing here and she said “I’m here cause you need me”. They had found my mom unresponsive in her hospital room. They asked me if I wanted life support or hospice. My dad wasn’t there at the time, so I said life support. They lost her in the elevator on the way to ICU but were able to get her back. She never wanted on machines. But I couldn’t let her pass without my dad being there. We kept her on the machines for 4 days. Which gave my brother and nephew a chance to get here and see her. I feel I made the right call and would do it the same way again. Hello Crystal, your comment is timely because my mother in law passed away two weeks ago and my wife and I have been dreaming about her. When you try to take a picture of her with the family and the camera doesn’t work, that could symbolize that she’s no longer “in the picture,” meaning, no longer physically present with the family. But since you and your brother see her, it could mean she’s present in your heart. She could even be with you in spirit, literally or figuratively or both. Perhaps you still need her in the sense of need to feel a connection with her. A point will come when you can let go, but there’s no hurry. Perhaps her spirit is still around, but my sense is that scene describes something going on in you. It’s natural to second guess yourself after having to make a decision like you did to resuscitate your mom. We had to make decisions about my mother in law and it was really tough. But we know we did everything as best we could and made decisions with our best intentions, so it is what it is. If I can leave you with one more thought, remember your mom in her prime. See her as the healthy and happy person you knew. We have struggled a bit with remembering how ill my mother in law was at the end, and the other day I got a strong feeling that I should counter those memories with the better ones. I’m told that the spirits of the deceased do not want to remember their last days of being ill, and that it can actually push them away. So remember her well and welcome her into your dreams. My mother died exactly three weeks ago today. It was horrible because I tried everything to save her but I was unsuccessful because she no longer had the will to live. Almost two year ago, she was hit by a SUV while crossing a street in the pedestrian crossing. She spend almost two months in coma and miraculously regained consciousness but suffered traumatic brain injury and that changed her personality. She lost something about her persona. For a year an a half I did everything to help her recover and after she was succeeding she felt too depressed and began to give up. She began to abandon her physical exercises and then she began to eat less to the point to reach an anorexic behavior. It was a losing battle. Three weeks ago, she was under my care and she too weak, she refused to eat and was way to anemic. My situation was getting desperate. after I calmed down I went to se her at her room and she was conscious but unresponsive and giving a shallow breathing. I realized this was bad and called the ambulance to send her to a hospital. She never made it. These three weeks I had unusual dreamless sleeps since her death until last night when I finally had my first dream. I was with my mother and she was showing me about antique stuff, how homes were back in the 50s and 60s when she was younger and it was extremely real. Then we were in a boat trip and there was this loud and deep male voice calling her name followed with “WE NEED YOU, IS TIME TO GO”. There was more after and I’m trying remember the entire message. After hearing that message, that’s when I came into realization that I was dreaming. I never wanted to let her go but I realized this is the chance I needed to say goodbye. I began caressing her face when everything began to turn dark and that’s when I woke up. I don’t know if i said goodbye before or after I woke up but I know I did. I even cry for typing this. For these three weeks I was wondering and hoping that she recovered what she lost in that accident because she became a different person and it was like she was my daughter instead of my mom. I sacrificed two years of my life fighting a losing battle hoping to save my mother and carry out the plans she had. Before the accident, my mother celebrated life. She was fighting a cancer like decease and she was the kind of person who rather fight till the end. That’s one of the qualities she lost in the accident. I promised her I would help her fight and came to the point that I alone was fighting for her life. Not only I miss her but I feel like I had failed her. A week ago my mother in law died after a long struggle w Alzheimer’s, which changed her personality as the disease progressed. During this past week I’ve learned a lot more about her history and have a new respect for the talent and strength. I didn’t know her before the disease set in. Your dream has the feel of a processing dream. The reference to how homes were back in the day could be a way of saying you are trying to remember her as she was, before the accident and personality change. Boats in dreams tend to symbolize the voyage of life, a big picture way of illustrating where you are going in it. The message of the voice could be a message to you, that you need to get on with your life after caring for her these past years. Your comment about caring for her like a daughter struck home because that’s what my wife and I did with her mom. The closer she came to the end, the more she regressed to a childlike personality. We felt honored to be her parents. Like you, we are struggling with the feeling that we failed. There were times when we didn’t live up to our own ideals and weren’t the best parents. It’s natural to feel that way. I told my brother about it and he said he’s like that with his kids, always second-guessing, and in the end you just do the best you can and know you are giving your loved ones the best you’ve got. It’s truly a special and honorable thing to take care of someone like that. Be at peace about it. And get on with your voyage, so when you join your mom in the next life, you can tell her about all the cool things you did that she wasn’t around to see. Or don’t wait, and take her with you in your heart as you continue your journey. 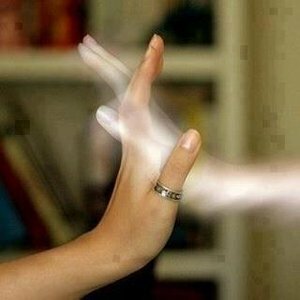 I have a strong sense that our loved ones in the afterlife stay connected with us and can hear when we speak with them in our hearts.